Achieve Oral and Overall Wellness in 2019! Brooks Dental prides itself on being a patient-driven practice. We do everything we can to satisfy our patients’ needs and make them our highest priority. As we’ve gotten to know our patients, we’re learned that we bring a positive vibe to dentistry, and we’re looking forward to continuing this tradition in 2019. The dentists and team members at Brooks Dental want to wish everyone a happy new year. With 2019 in full swing, we hope that all of our patients are on their way to fulfilling their brand-new resolutions! Over the years, we’ve learned from many of you that maintaining better overall health is your highest priority in 2019. Of course, you aren’t alone. Data from Statista showed it to be one of the most popular resolutions Americans make in recent years. This was only overtaken by saving money. The good news is, both of these resolutions can be met with your oral health in mind. You don’t have to sacrifice your oral health just because your resolution may only focus on overall well-being or financial security. For this month’s newsletter, the dentists created a series of habits to consider as you begin your journey to a healthier you! If you’re a nail-biter, you’ve probably heard that it can be bad for your nails in the long-term. Putting your fingers in your mouth is also a sure way to increase your risk of contracting an illness, such as a cold or infection. This habit, along with performing other tasks with your teeth, have major implications for your overall health. However, they can also dramatically affect the long-term health of your teeth and gums. 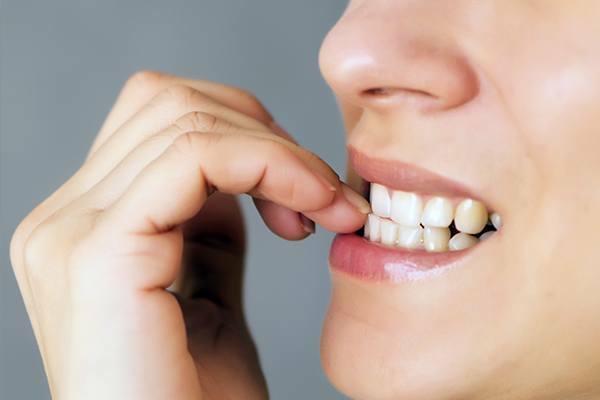 Whether you’re biting your nails or trying to open a package of food, biting these inedible materials only wears down your enamel faster and more dramatically. This enamel erosion can permanently change the shape of your teeth as well as lead to more intense dental sensitivity. To break the habit, make sure that you commit to cutting your nails every week or so, depending on your needs. Keep necessary tools nearby so you don’t need to resort to using your teeth. 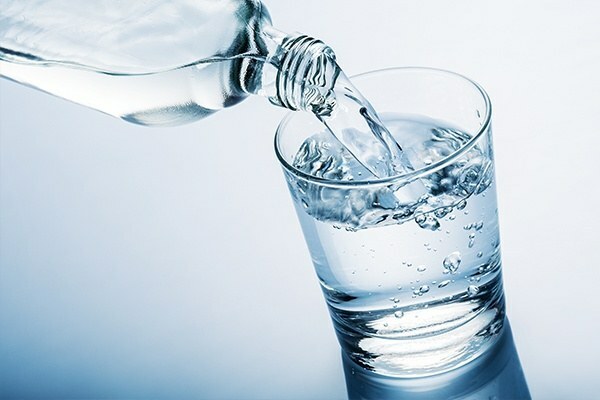 Many people forget to drink enough water throughout the day, especially if they work in an environment that doesn’t require much physical activity. Drinking frequently and replacing your sugar-filled beverages with water carries many benefits for your overall health. Fortunately, drinking more water also keeps your mouth moist, which is important for fighting off plaque-creating bacteria. It also triggers saliva production, which is an important part of how fluoride ions remineralize enamel. Drinking water can also help you loosen food debris caught in tight pockets of your mouth. It’s truly one of the best ways to prevent tooth decay and gum disease outside of your brushing, flossing and dental visits. It’s common for patients to attend the first appointments associated with their restorative treatment, but then not complete them. 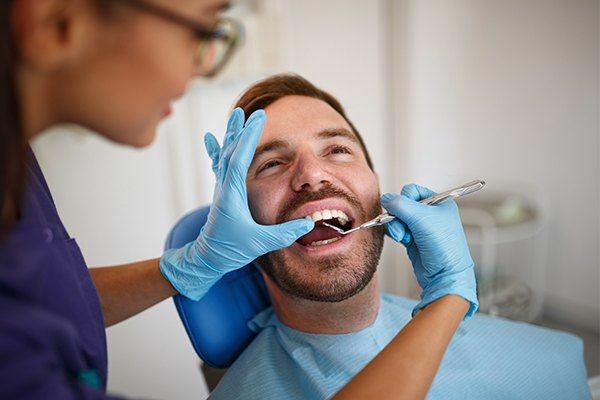 If you need a dental filling or crown placed, then putting it off is only going to make it more difficult for you to maintain long-term oral and overall health. With fully restored teeth, you don’t have to worry about more expensive or time-consuming dental treatments later. Additionally, you’ll be better able to eat the balanced diet necessary for maintaining positive, whole-body wellness. With that said, it’s easy to forget when your routine dental visits are happening. That’s why committing to visits every six months is so important. You won’t know for sure if your teeth are in good condition without having one of our dentists perform an examination. They can also confirm if you need restorative treatments started in the first place, ensuring that no problems with your smile develop without your knowledge. Just because the new year has begun doesn’t mean it’s too late to set an oral health resolution! If you’re overdue for a treatment or haven’t visited Brooks Dental in a while, there’s no better time than now to kickstart your healthy resolutions in the new year. We hope to see you and your family members soon!